Are you like me, and sometimes make promises to yourself that you don’t or can’t keep? You know, the whole New Year’s resolution scenario that we always have the intention of sticking to but never do? We like to promise to ourselves that we will eat better, exercise more, spend less, drink less, get healthy and so on. The list can be endless and unless we can be super stoic, totally driven and enthusiastic we can soon be consumed by life, and that one bad day can be our undoing. So how about considering going deeper? What if you could actually think about what you really want for yourself and make a commitment to doing things differently? It actually is not difficult to do. It just starts with a decision and reminding yourself of your new habit until it comes naturally. In my experience through my journey, change has come from focusing on how I want to feel. Yes I want to eat healthier, exercise more and so on, but that all flows naturally when I’m feeling good. It really is very simple. You just do something for yourself that makes you happy. And do more of it, as often as possible. My thing is walking on the beach. It instantly lifts me, so I do it as many times during the week as I can and it keeps me in that happy place. It is now a priority and I make time for myself to fit it in. We have those that are practical, and those that are on a constitutional level. By that I mean our system. Our internal guidance system that we rely on to make decisions. And to go to this deeper level, we need to set intentions. They are different from promises. 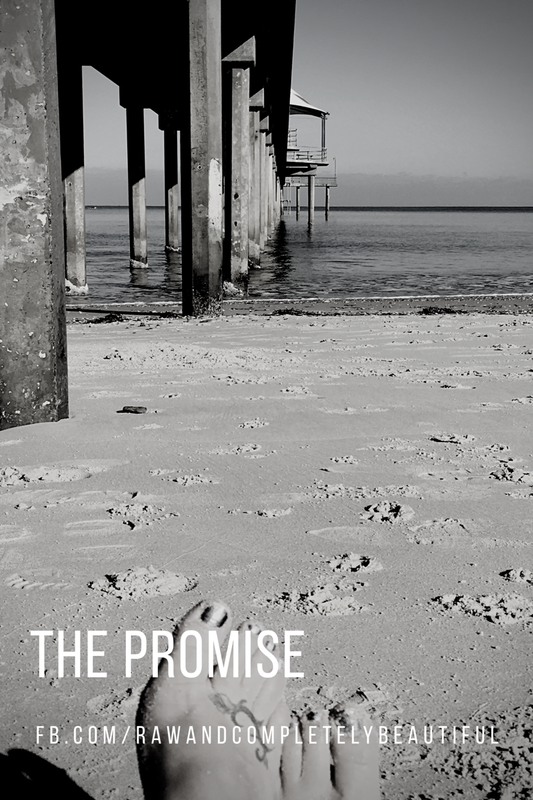 According to the Oxford Dictionary, the definition of a promise, is “A declaration or assurance that one will do something or that a particular thing will happen”. The definition of an intention, is “A thing intended; an aim or plan”. So what’s the difference? I believe that a promise is the outcome of something you want, and the intention is how you will work towards it. 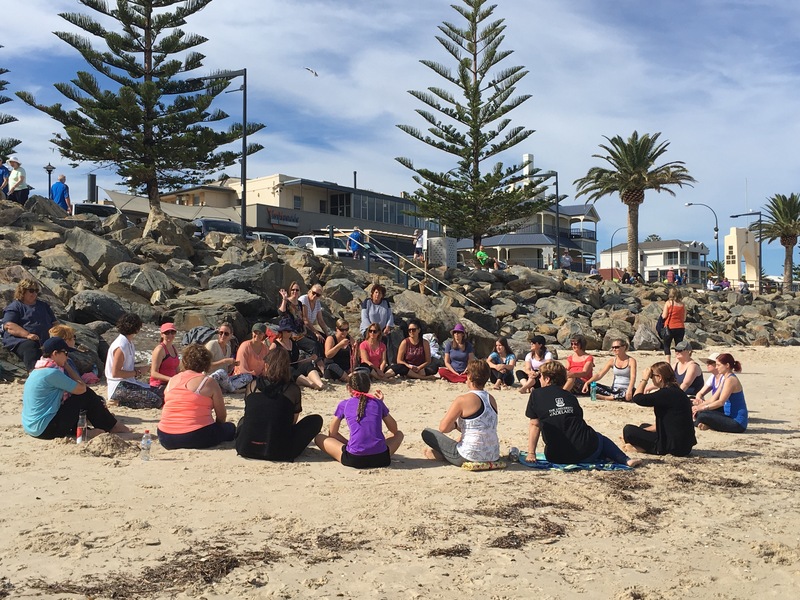 This all came up for me in recent months because of a beautiful friend, Bec, who organised an amazing gathering on our local beach for a group of women over the Easter weekend. We sat together on the sand and were guided through a meditation by our amazing local mentor, Miriam. We then went through a grounding yoga sequence with the fabulous and all-knowing yogi, Dawn, and then Bec taught us a powerful intention setting ritual*. The idea was to set some intentions for ourselves going into winter that we can follow through, in the spirit of self-love. We sat with a partner and a piece of string each. We made a knot in the string and stated our intention. Our partner then repeated our intention and also made a knot, then did their own. I set four intentions for myself that day. Those four intentions go around in my head daily. 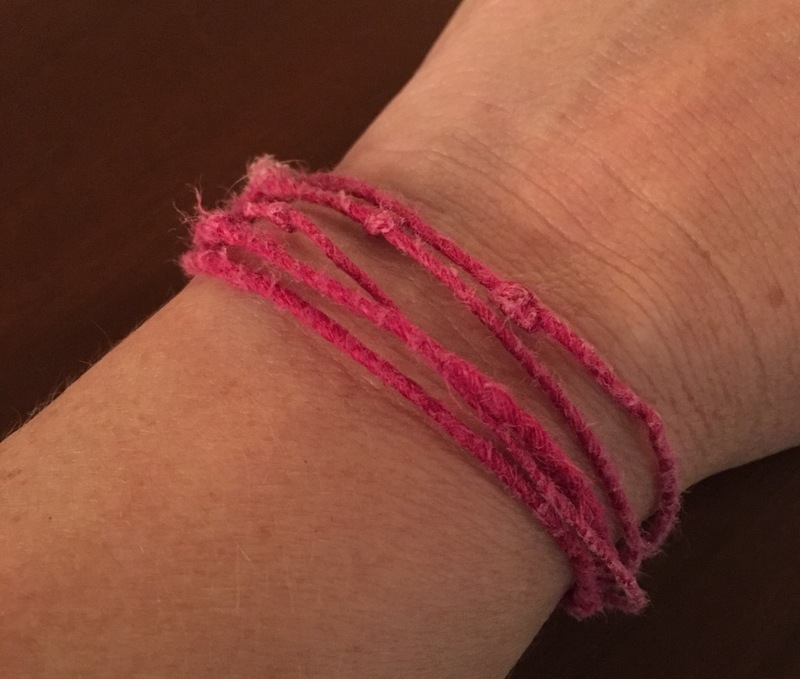 I wear my string on my wrist to remind me of their power. They keep me on course, reminding me how I want to constitutionally shine from within and live my life going forward into the future. At the time, I didn’t realise how they would become connected to a promise. My life has been forced into change. Through my illness and recovery I have been given an opportunity to do things differently. I could choose to be the same person I was before I was diagnosed, but that won’t serve me. I can choose to react the same to situations as I did before, but that won’t serve me either. I see it so clearly now, but it wasn’t always that way. For twenty years I have allowed certain situations to affect me. In addition to grieving for my mum, there have been other significant events in my life that have been very stressful and emotional. I can sit here and say that none of it was my fault and completely void myself of any responsibility but the fact is that I played a part. How I have chosen to react to those situations has completely enabled them. We can’t just turn off our feelings when something happens that upsets us. But we can control our own behaviour and either choose to enter into the emotion of a situation and cause it to escalate, or rise above it, not take it on board, and break the momentum. Even though I have learnt much over the last eighteen months, I’m certainly not perfect and in a moment of weakness recently I completely entered into a situation that I certainly would normally know better not to. I became so overwhelmed at my own emotions through the situation that it was affecting me day to day. I took it personally. To process it, I needed to go to my happy place. I needed a hug, a chat, a coffee, comfort food and the beach. 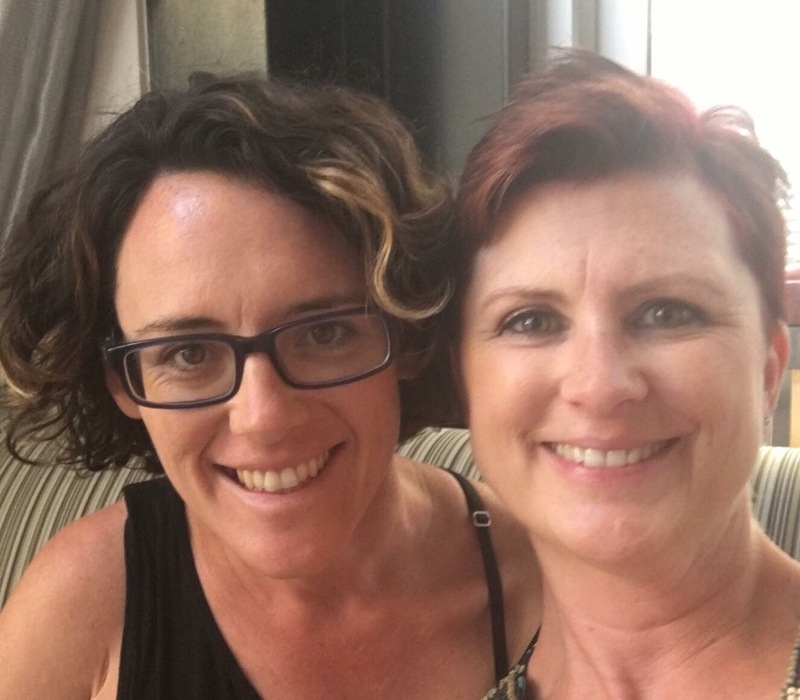 I spent the day with my wise, insightful and loving friend Bec. We walked and chatted for hours. I offloaded. We talked it through. I felt angry at myself and frustrated because I could not understand why this was happening. And then Bec gave me an a-ha moment. The absolute revelation at hearing this nearly knocked me over! It was so blindingly obvious but I had allowed myself to be so consumed by my own emotions that I could not see the lesson that had presented itself. The immediate sense of relief I felt was incredible. I let all the frustration go, then and there. I finally got it! There is no way that I am going to take this behaviour forward with me into the future. Together with my intentions, my promise to myself also now goes around in my mind daily. It also reminds me that I am making a commitment to myself to do things differently. To approach life differently and create new patterns of behaviour. I have gone deeper with my intentions and promise. They have come from within and I am honouring them. I have not been through all I have to come out the other side and be ordinary. I am sure that my intentions and promises for myself will change from time to time, but they will now remain part of my daily life. An important part. We need to be kind to ourselves during times of change and I believe that setting up a framework for ourselves through this way can help us succeed. Through change we achieve growth, and through growth we step into our personal power and find our success. *If you are interested to find out more about the fabulous Bec and all that she is about, or if you would like to join us on the beach next time, check her out at her Balanced Becca page. She’s pretty amazing and is currently developing some workshops that will help change lives, like her friendship has changed mine. Big love for this chick!